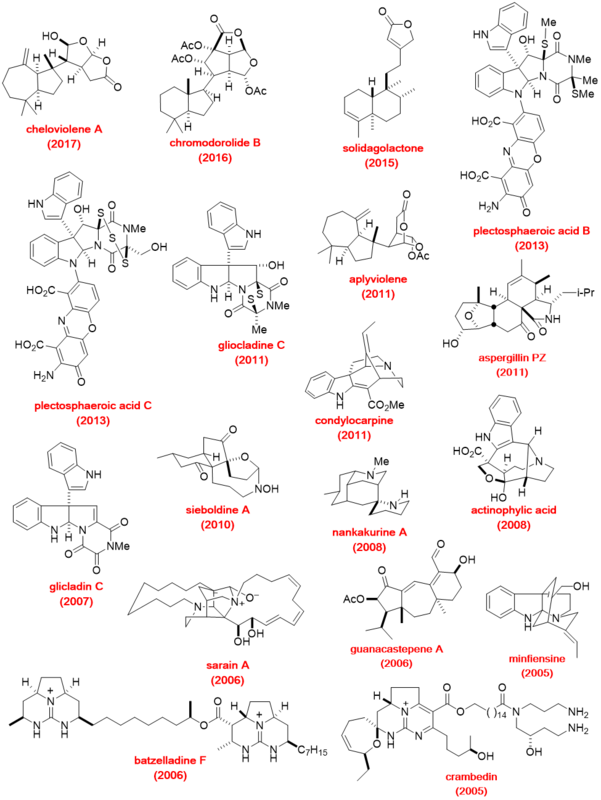 At any one time, the Overman laboratory is engaged in the total synthesis of a number of structurally distinct natural products. 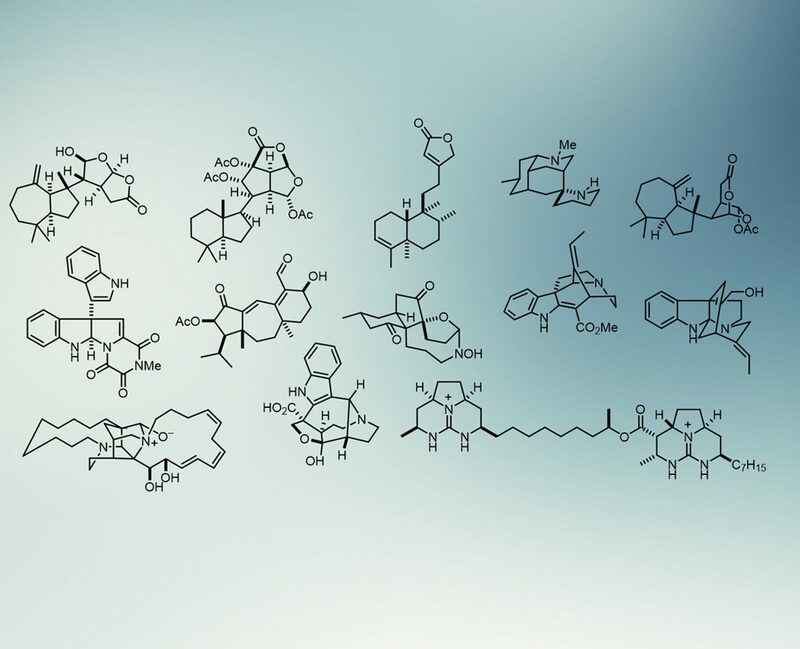 Many of our recent target molecules are rare marine natural products, where synthesis has played a key role in defining the structure of these typically non-crystalline compounds. Our synthesis strategies employ transformations developed in our group as central steps. A selection of natural products recently synthesized in our laboratories is shown below.